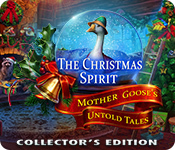 The Christmas Spirit: Mother Goose's Untold Tales Collector's Edition is rated 4.6 out of 5 by 46. Rated 5 out of 5 by Bumbles2 from Absolutely wonderful This brought back many fond memories from long ago...about time spent with my kids and the different things we did over the holidays. We didn't come across any Grinch's like our King Cole in this Christmas adventure...Thank goodness !!! 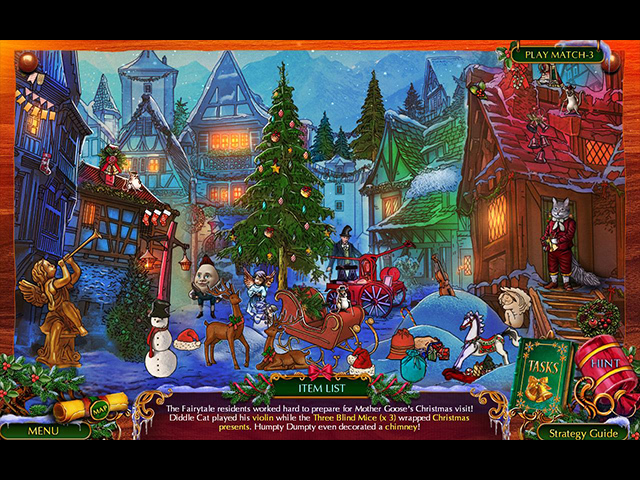 We all absolutely loved this beautiful Christmas game...it definitely created a Christmas mode in my family. The music is superb and the graphics are absolutely incredible...Nice and clean and crisp...loved it !!! I always read the credits of nearly every game we play but this time I paid a little more attention of the artists...which caused me to read all of the credits...I quickly realized the majority of artists are all from Russia, I'm totally impressed with their talent...well done guys !!! There was very little challenge in this game... just some easy gaming and a lot of relaxation...I really liked that especially at this time of the year being so hectic and busy. I would have written more about the story but I noticed so many others covered that with some very well spoken opinions,,,nice going guys !!! Try the demo to see if its the type of game you and your family might be interested in and I think it will pass the bill...enjoy all !!! Merry Christmas and Happy New Years too ! Rated 5 out of 5 by J9CT from Christmas Fairy-tale Game For Big Kids Too!!!!! I just finished this beautiful chrismassy game and I'm happy that I bought it. 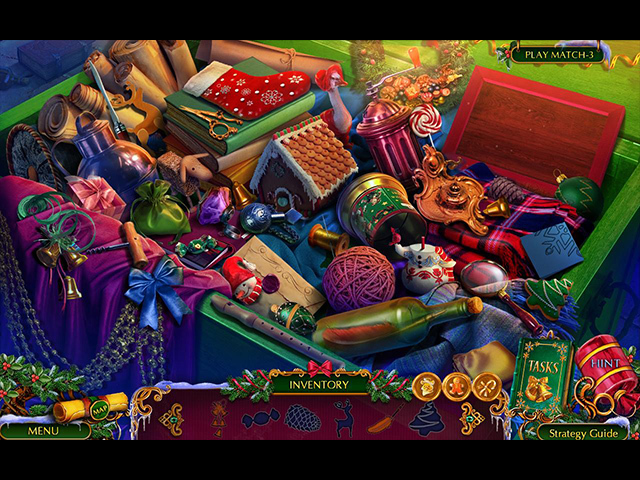 - Can choose your level of difficulty with skip and hint options - Various types of hidden object scenes, not the usual straightforward look for a hidden object. You also get an option to play match-3 instead of the HOG's - Beautiful storybook graphics and characters - Puzzles ranged from easy to difficult and they were fun - Bonus game is a new story but still related to the overall christmas theme and characters Other reviews are incorrect when they say this game is only for kids, this game is thoroughly enjoyable for all. 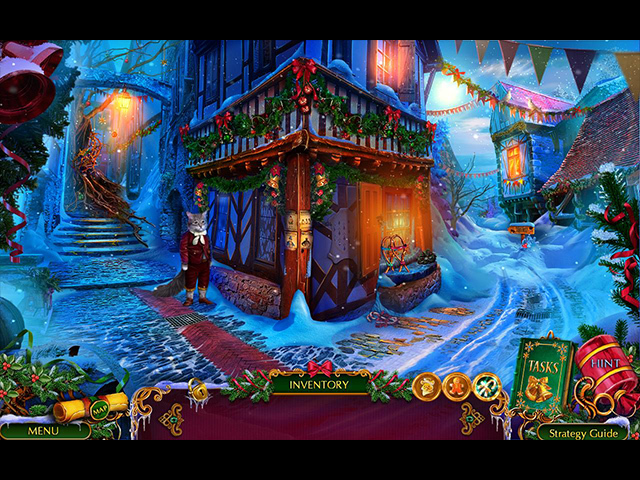 Rated 5 out of 5 by Kluane from Best Christmas (Game) Ever I loved this game, great visuals, great storyline. Enjoyed this game more then most. I don't buy as many games as I used to but I love the season specific games. This game is worth every cent. I really recommend this game. Merry Christmas! Rated 5 out of 5 by goatlady92 from Best Christmas Game Ever!!! This fabulous game is tops in every department.. awesome graphics with a beautiful color palette, fantastic storyline, excellent ratio of puzzles to HOPs, and great voice-overs. Domini has outdone themselves. Sheer perfection! Rated 5 out of 5 by Talisbird from Money's worth! I reviewed this as a standard edition, but I actually played the CE which is even better, with more to do and things to collect. I will not repeat what I said for the SE, but I must say that the CE gives a lot of satisfaction with a long bonus chapter and the ability to replay puzzles. It is now Boxing Day in Tasmania and I have a new desktop wallpaper with a merry crew saluting the Christmas spirit. Well done devs! Rated 5 out of 5 by chevyqueen from The best Christmas adventure ever! I loved this game. The graphics are fantastic. The storyline is pure imagination. The game is colorful and not dark! A beautiful change from the norm. This is a very user friendly game! On each challenge mini-game you can select easy or hard. My favorite feature is that you have icons that sparkle, letting you know when special items are in the room to collect. I am playing this game for the second time! I love it! Rated 5 out of 5 by Marja67 from Reminds of the days of my youth. Pretty graphics and music. All the nursery rhymes and children's books stories are here. Really like it.